“It’s not about me,” Sarah Palin said as she rode a bus emblazoned with her name in three-foot letters. “It’s not a publicity-seeking tour,” she told her Fox News interviewer, as the cameras rolled. It was, rather, “about highlighting the great things about America.” Such as: Donald Trump’s digs at Trump Tower and Fox News headquarters in New York — both stops on her “One Nation” bus tour. Gates, who remained on the job at Obama’s request, took on sacred weapons programs at the Pentagon, fired ineffective generals, won the surge in Iraq, revived a crumbling war effort in Afghanistan and got Osama bin Laden. Gates brought new accountability, firing top officials over the outrages at Walter Reed Army Medical Center and the mishandling of nuclear weapons. He fought with Congress and the military bureaucracy to redirect funds toward troop protection. His championing of mine-resistant vehicles saved countless lives, and his push for better Medevac in Afghanistan cut the average time-to-hospital for wounded soldiers to 40 minutes from 100. His unusual frankness continued right into his farewell tour. During his trip, he affirmed that “everything is on the table” for defense spending cuts, spoke in detail about disputes with China, discussed shortcomings in Afghanistan and acknowledged his disagreement with Obama’s decision to attack Libya. As I read Milbank’s excellent article I realized that he had succinctly captured the problem with this country. We reward vacuous and hubristic celebrities who contribute nothing to society, and in fact cynically seek to manipulate society via distortion and dishonesty for their own financial gain. But we largely ignore the very real and positive contributions of true Americans who have served their country with great humility and capability. Shame on you Sarah Palin, and shame on all of us Americans who give so much attention to such an insubstantial personality. 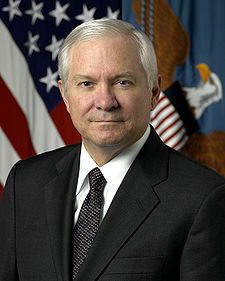 Thank you Robert Gates for reminding us what true service to our country and to humanity entails. PGH hopes that all of us will take the occasion of your coming retirement as an opportunity to reaffirm the values that make this country great. The values of service, of honesty, and of taking on the difficult battles both here and abroad to keep America the world leader that it has been, continues to be, and will be in the future. Leadership like yours and the President’s are an inspiration for us all. If you haven’t already, please read Dana Milbank’s article in the Washington Post.